Plugins remain a hot item in New Zealand, last month, 92 units were sold in New Zealand, up 31% YoY, pulling the year result to a record 1,523 units, and placing the final 2018 PEV Share at 1.4%, more than double of last year result (0.6%). Will we see it reach 3% in 2019? Looking at the models ranking, the 2018 Models title remained in the hands wheels of the Mitsubishi Outlander PHEV, that thanks to the arrival of the revised MY 2019 version, scored a record 300 deliveries in 2018, making this year title, its Fifth in a row. Elsewhere, two fresh faces have made an impression, with the Toyota Prius PHEV shooting to #4 in its first year on the market (at the expense of the regular HEV version, that suffered heavy losses this year), while the Hyundai Kona EV ended the year in #7, despite having only landed on the second half of the year. In the Manufacturers ranking, Hyundai was the surprise winner, with 25% share, placing three models in the Top 10, while the seven times Best Selling Manufacturer Mitsubishi dropped to Second Place (20%), and Tesla (17%) took the last place of the podium. Looking into 2019, the Outlander PHEV will have a hard time to renew its Best Seller title, as the Hyundai Kona EV will build on the current performances and try to replace it on the leadership, while the Tesla Model 3, set to land on the second half of the year, should win enough deliveries to have a shot at #1. But even if the Japanese SUV wins in 2019, the 2020 Models title should go the Tesla Model 3, as it benefits from its first full deliveries year, possibly reaching some 900 deliveries by that time. Great work Jose. Good to see New Zealand doing well without the support or supply fron Nissan and GM. New Zealand is a japanese backyard (for Mitsubishi, if not others), best chances are for Hyundai to capitalise on this. Toyota could be winning in this market, but their strategic decision to dismiss Electric Vehicles as a valid technical option is already denting their dated hybrid versions, if not for the PHEV, their Prius 4th model would be faring rather bad in worldwide sales terms. In 2019 it is going to be interesting to see how Tesla will fare here, Model S deliveries are already tanking (after peaking at 128 units in 2017) and Model X peak might have been 2018, lets see if they stay below 120 in 2019. Predict best chances for Model 3 at 80-100 deliveries. Zero Nissan Leaf sales in New Zealand? 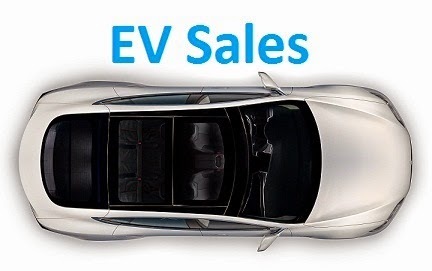 It seems that more than 25,000 Nissan Leafs were sold in Japan in 2018. I think its coming in 2019. Nissan says that they will start to import leafs into New Zealand around the middle of the year. Most imported second hand EVs are leafs. Hard to imagine why we have to wait so long for new imports.